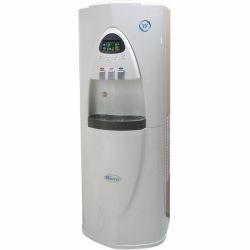 We stock several types of water dispensers, bottle types and direct connect are available as well as water fountains. We have both freestanding and counter top units. 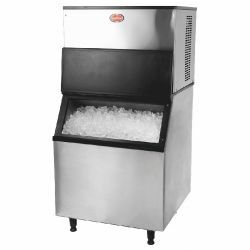 Automatic Ice Maker. Plumbed into mains. 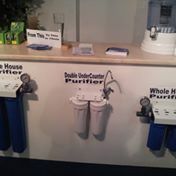 Direct Connect Water Fountain with Filtration System. 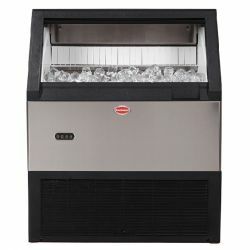 Commercial Automatic Ice Maker. Plumbed into mains. Makes bullet-shape ice automatically for home or office. 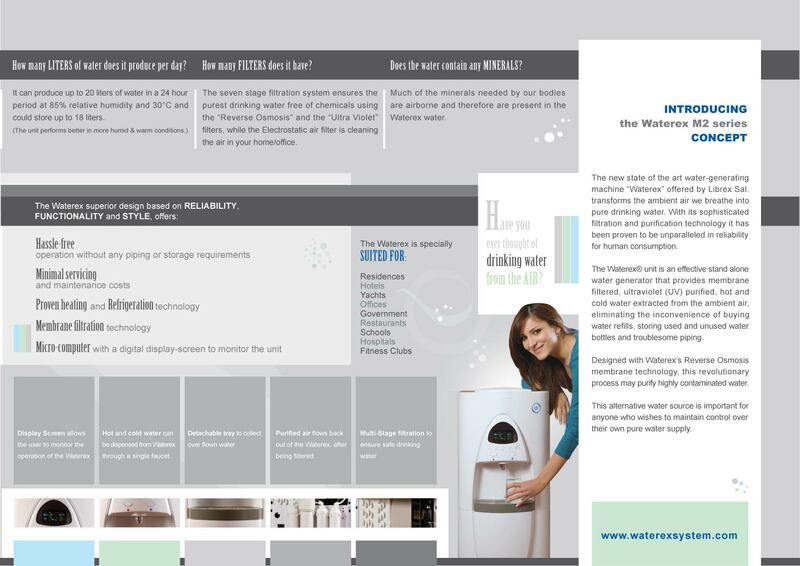 Recommended – to be installed with a pressure regulating valve and filtration system. 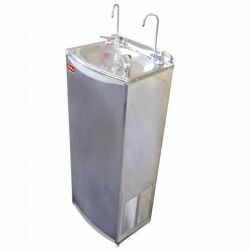 The water fountain is connected directly to a water supply and features a built in 3 stage purification system. Typically used in factories, mines, gyms, etc. 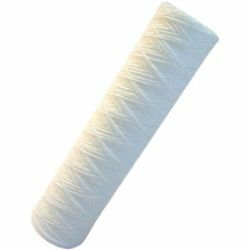 Filters need to be replaced regularly, dependent on usage and water quality (average 6-12 months). 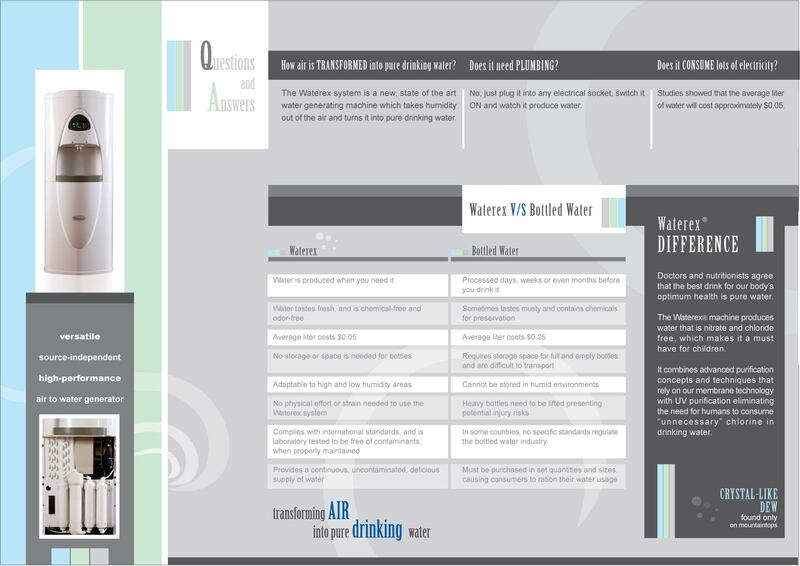 Note: Filters need to be installed prior to operation, filters are included but not pre-installed. 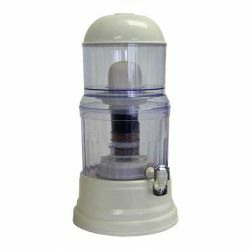 Connect with Inline Water Filter and Pressure Reducing Valve. Compressor is a Snomaster High back pressure compressor which is more robust and works efficiently in higher ambient conditions. Sealed PC Board which reduces moisture content and corrosion. Copper/aluminium evaporator which is less corrosive that standard steel evaporators. Stainless steel pins makes moving parts more durable. 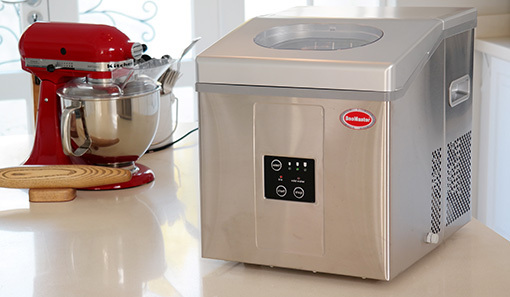 Considerations when choosing an ice maker. 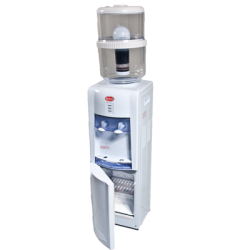 It is important to purchase an ice maker that can cope with SA temperatures i.e. 32 degree Ambient. 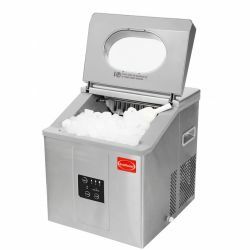 A lot of available ice makers have been designed to cope with European conditions i.e. based on a 24 degree ambient temperature. 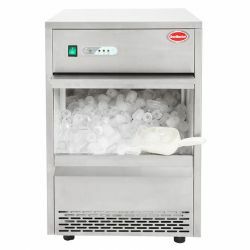 This will cause a lower production or even no production of ice in high external temperatures. Reduces or removes bacteria, contaminants, chemicals and various heavy metals. 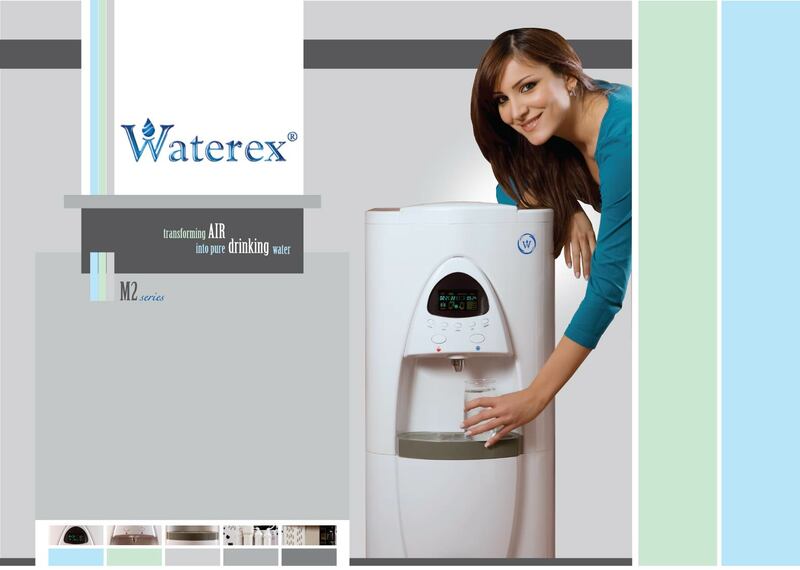 Retains the natural minerals, nutrients and good taste of clean water. Reduces iron, manganese, antimony and ammonium ions. Reduces odours and improves taste. Water is gravity fed through the ceramic filter then passed through the multi-stage cartridge to remove impurities. 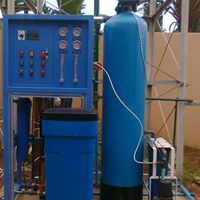 Bear in mind that as this is a gravity fed system, the water will require time to pass through the filters. Actual mineral pot may differ slightly to product image.